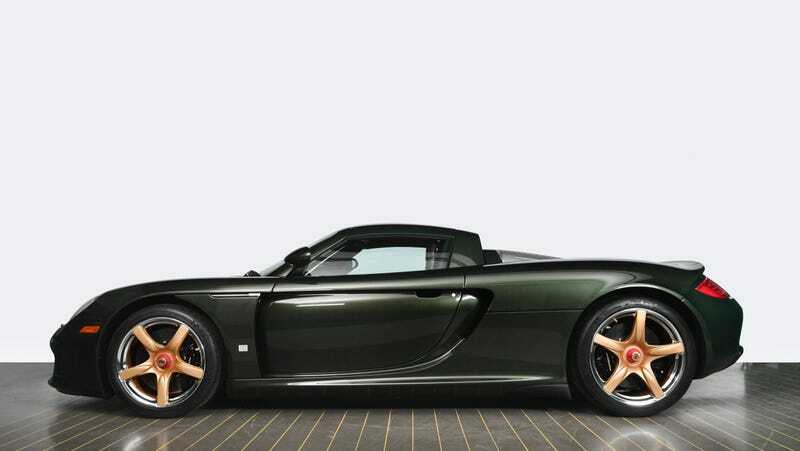 A delightful fact about this Porsche Carrera GT is that it is painted green. In addition, the wheels are painted gold. In addition to being both green and gold, the wheels’ rims are silver. [M]aterial experts from the Porsche R&D center Weissach advised that polishing the rim ring would structurally alter the material in such a way that it would potentially be dangerously weakened, so an alternative engineering process was required to create the desired metallic high-gloss effect rim﻿. None of this is what is most impressive. That honor falls to the rear badging, which is gold to match the wheels. This is a style recognizable to anyone who has seen an early 1990s Infiniti, or bubble-eye Lexus, or the fellow Toyotas of the era that owners got gold-dipped badging to appear more luxury, particularly if they were in very 1990s-luxe forest green. At no point does Porsche call out to the 1990s, or Infiniti, or a GS of any kind. 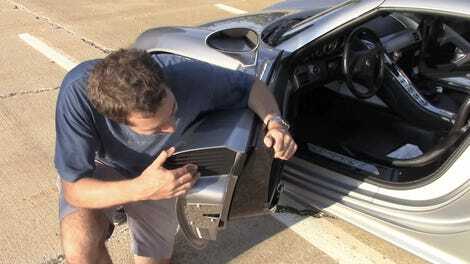 That is classy restraint, the kind we can trust to come from Porsche.